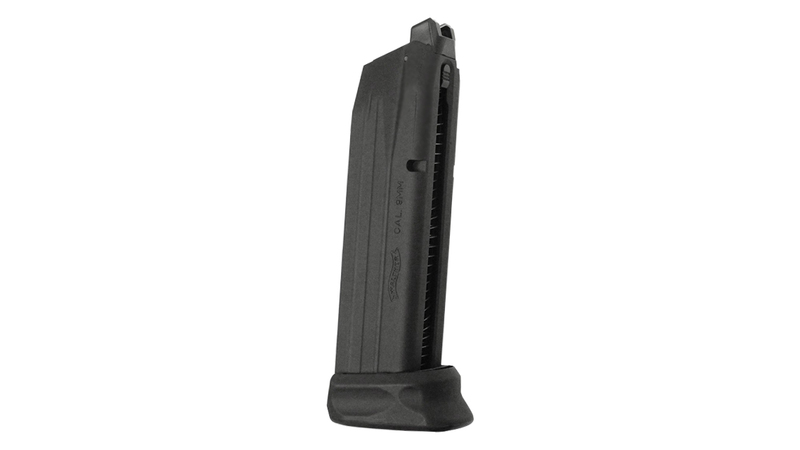 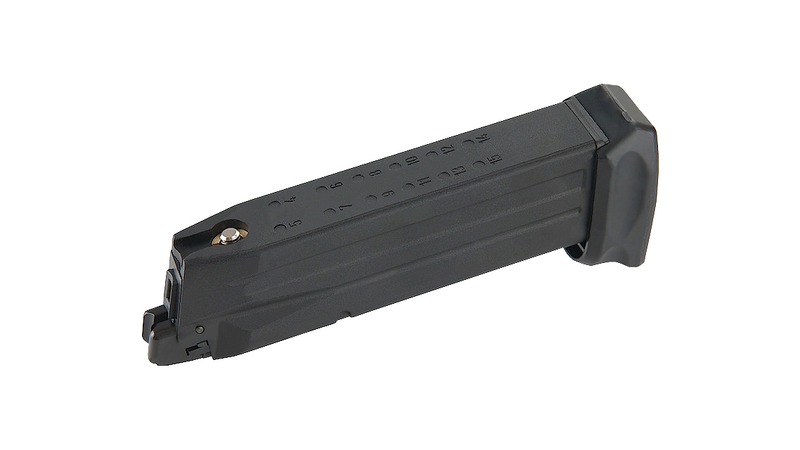 Standard replacement magazine for the Umarex PPQ M2 Navy pistol. 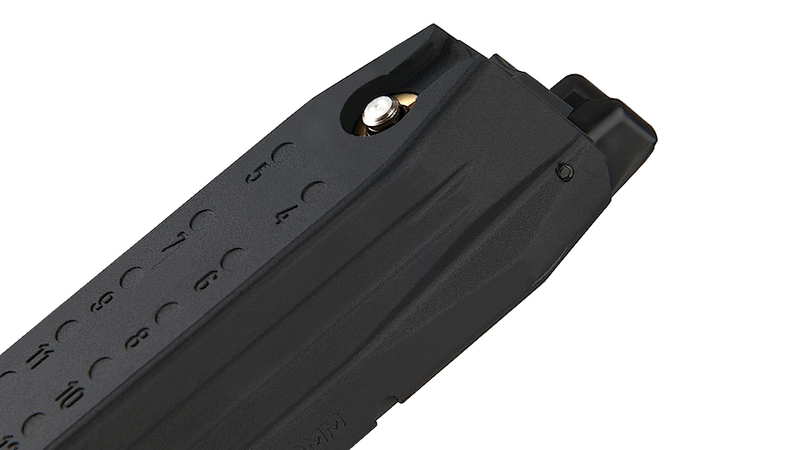 New type for added power. 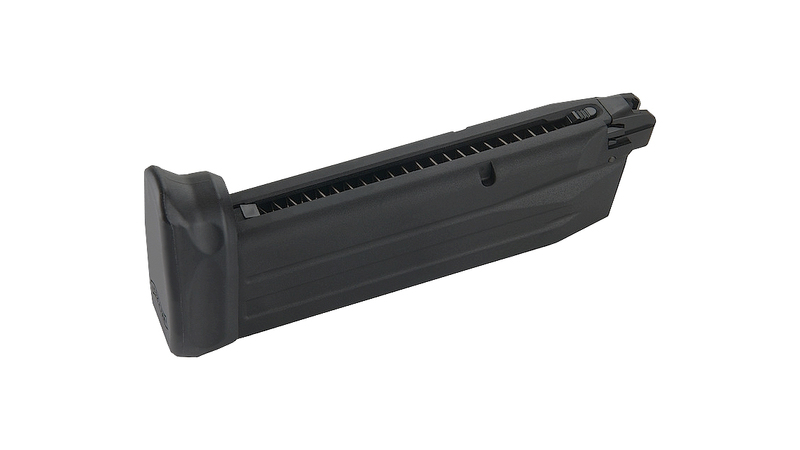 Silicone spray is necessary to maintain spare magazines, especially in dry climates such as North America and parts of Europe. 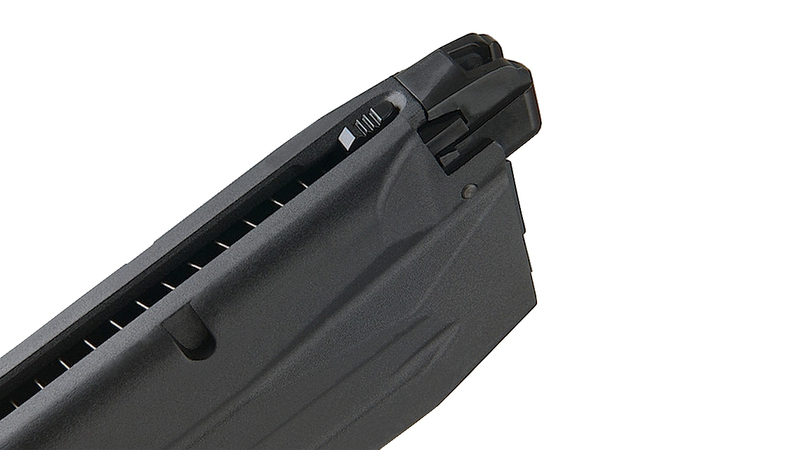 O-rings may dry out, crack and start to leak gas, rendering the magazine inoperable.